Windows 10 has gotten its first official update with new features, and it is free for everyone who had already upgraded their Windows. 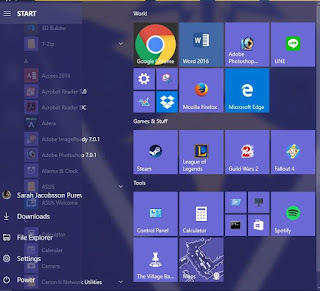 Microsoft had said, during the launch of the OS that Windows 10 will be the “last” Windows, this means that instead of OS overhaul with different version names (Windows 7, 8 etc) after a specific life cycle, there will be one Windows with periodic updates. The Windows 10 Anniversary Update acquired its name from the OS' one-year anniversary (August 2). The Anniversary Update is free for all Windows 10 users (Windows 7 and 8/8.1 users had until July 29 to upgrade to Windows 10 for free - see details here) and includes everything from visual tweaks and security improvements to brand-new features such as Windows Ink. Here are some of the new features you should expect when your device gets the update. The first thing you'll notice in the Anniversary Update is the Start menu...it's different. There's no longer an "All apps" menu. 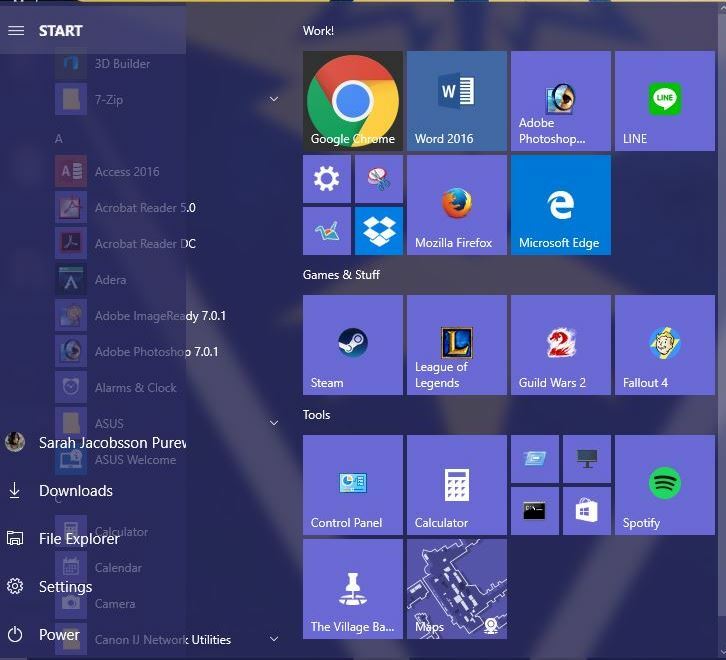 Instead, all of your installed apps appear in a list on the left side of the Start menu. To the left of this list, you'll see icons for your account, downloads, File Explorer, Settings and Power. To the right of this list you'll see the tiles and live tiles. The Windows 10 taskbar gets some cool tweaks in the Anniversary Update, including prettier right-click menus and a dedicated section in the Settings menu. You'll find it under Personalization > Taskbar. The taskbar clock and calendar are now combined; click the clock and you'll see the time and a list of your day's events. And if you have multiple displays set up, the clock now appears on all of them. 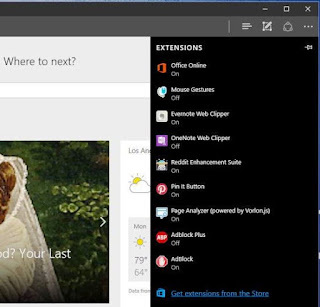 Microsoft's new Edge browser will finally get support for browser extensions. Edge never wanted to support third-party extension due to security risks -- despite the fact that most other modern browsers, including Chrome, Firefox and Safari, support them. A handful of third-party Edge extensions including AdBlock, the Pinterest Pin It Button and Evernote will be available at launch, hopefully with more to come. Extensions will be available through the Windows Store. Windows 10 will get more pen and stylus friendly with Windows Ink, a new pen-centric experience that lets you use your active stylus throughout the operating system. Windows Ink comes with its own special workspace, which you can access through an icon in the system tray. There's also a handful of new apps, including a screen sketch app that lets you scribble on screenshots in a manner similar to Microsoft Edge's Inking feature. Ink will also be integrated into existing apps, and key apps will have special features such as being able to draw custom routes in the Maps app. Stylus users will be able to customize their pen's buttons and settings from the Devices tab of the Settings menu. Cortana will make a small -- but convenient -- move to the lock screen. Once this feature is enabled, you'll be able to access Cortana by saying "Hello, Cortana" or by tapping the Cortana icon on the lock screen. Microsoft's digital assistant will be able to perform a variety of tasks from the lock screen, such as looking up directions, scheduling appointments or creating reminders. 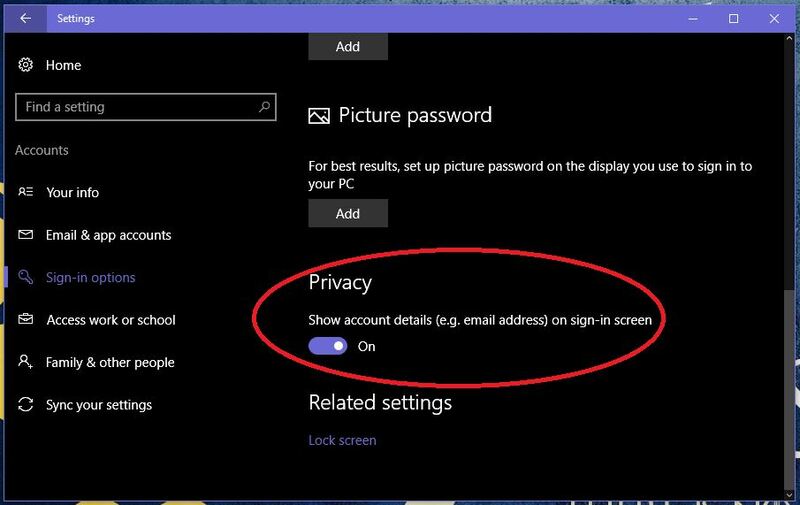 The Windows 10 lock screen gets a few additional improvements, including the ability to hide your email address if you sign in with a Microsoft account. 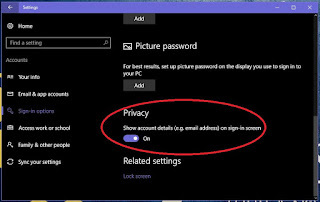 You can turn this feature on by going to Settings > Accounts > Sign-in options and scrolling down to Privacy. Windows Hello already lets you sign into your computer using facial recognition, a fingerprint or an iris scan. In the Anniversary Update, Windows Hello will be available on supported websites as long as you're browsing with Edge -- the first browser to offer native support biometrics. It'll also work on Windows apps. In short, you'll soon be able to sign into websites with your face. Windows Hello will also let you sign into your PC using a "companion device," such as a USB security token, an activity tracking band or a smartphone. Xbox Play Anywhere will bring universal gaming to Xbox and Windows 10 devices. Xbox Play Anywhere is limited to upcoming titles, but games purchased on the Xbox will be playable on Windows 10 PCs and vice versa. You'll also be able to move seamlessly between devices -- you can start playing a game on your Xbox One and pick it up later on your PC. If you install a third-party antivirus program in Windows 10, Windows Defender automatically disables itself. But thanks to a new feature called Limited Periodic Scanning, Windows Defender can now act as an "additional line of defense" to your existing antivirus program. When Limited Periodic Scanning is turned on, Windows Defender will turn itself on to scan your PC periodically (and send you a summary of its findings when the scan is complete) without interfering with your existing antivirus program. For enterprise users, the Anniversary Update will bring Windows Defender Advanced Threat Protection, stopping advanced malicious attacks on networks and Windows Information Protection, which is itself designed to help protect corporate data. The Cortana app for Android will be able to connect your Android device with your Windows 10 PC for super convenient "universal" notifications. Once connected, Cortana will be able to do things like mirror your Android notifications in the Windows 10 Action Center and remotely locate and ring your phone from your PC. 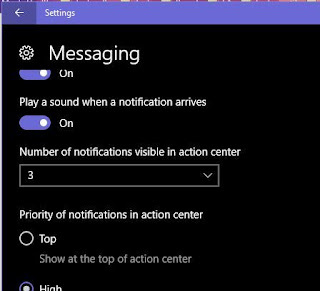 You'll also be able to receive text messages from your phone on your PC. Windows 10 is all white, all the time. 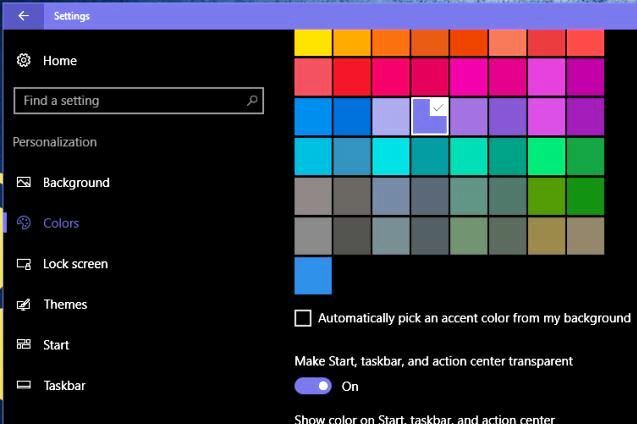 But soon you'll be able to pick a much more eye-friendly dark theme for default Windows apps such as the Settings menu, the Maps app and the Calculator app. In the Personalization tab of the Settings menu, you can now pick one of two app modes: Light (default) or Dark. The Dark mode features a black background, dark gray scrollbars and white text, and it affects most default Windows 10 apps, excluding the File Explorer.